Video Mystery Shopping: You had me at hello! In Chapter 2 of my new book ‘They Said What??!! Behind the Scenes of 25,000 Undercover Video Mystery Shops’ I talk about the importance of making a strong first impression. This message really hit home with me when I first started my mystery shopping business in 1986. One of my first assignments was to shop a small builder in Orlando. As I entered the sales office, I heard muffled voices in the back of the model near the bedroom area. Suddenly the back door to the model slammed shut! A short time later, a flustered female sales agent (with mussed hair!) appeared. She greeted me while quickly buttoning her shirt. Oh, no! She was on a ‘date.’ Suffice to say, the rest of the shop didn’t go very well. You see, the way you greet the prospect sets the stage for the entire visit. Period. The goal of the Approach/Introduction is to break preoccupation and help your prospect relax and feel comfortable. In order to establish this kind of rapport, you must become the new home sales counselor. Did the SA welcome the prospect warmly and with enthusiasm? Did the SA initiate introductions? Did the SA use the prospect’s name more than twice during the visit? Did the SA offer the prospect refreshments? Did the SA complete the registration card? Did the SA determine if the prospect had visited the company’s website? All of these questions work together to create a successful Approach/Introduction. If you follow this procedure up front, I can promise you that the rest of your presentation will have a nice, natural flow to it. Your prospects are ‘guests’ in your home and it is your job to make them feel comfortable and welcomed. I am sure you have all gone through an experience where you entered a store or business and have been ‘snubbed’ by the salesperson who’s supposed to be waiting on you. You know the kind of person I’m talking about. They make you feel as though your very presence is unwanted! Not a good feeling. Don’t make these mistakes. Make each person feel as though they are your highest priority at that very moment. I tell clients to imagine that a famous celebrity or movie star has just walked through the door (think Brad Pitt/Angelina Jolie). How different would your sales presentation be? Video Mystery Shopping: Want to create a positive company culture? Don’t forget the cheerleaders! This past month I had the opportunity to attend not one but TWO Parade of Homes’ Awards events, one in Orlando and the other in Tampa. I LOVE everything about what the Parade of Homes represents to our builders. The past couple of years, I have witnessed this annual event grow and emerge from the sluggish homebuilding market. It is exciting again! Entries are up, attendance is high, and people are having FUN! Not only are many new homes being built (and sold! ), but the sales teams are getting back in the spirit of the true meaning of the Parade. They are part of a winning team once again. In my opinion, the most enjoyable part of the Parade of Homes Awards program is watching the audience respond when the winners are announced. It’s the Super Bowl for the home building industry! People are hooting, hollering and cheering their teams on! This is really what is it all about. You can tell a lot about the culture of a new home builder based on the excitement level of the team. In most cases, when a builder’s model won a category at the Parade events I attended the sales team went WILD…and I do mean WILD! They could barely contain themselves. They were proud of being part of a winning team and were not embarrassed to show their enthusiasm. For some builders, however, I noticed that the cheering was not quite so loud, or not at all in the cases where the builder didn’t even bother to show up for the event! Now I ask you, what team would YOU rather be on? Are you passionate about the home builder you work for? Are you a cheerleader for your team? If not, you may want to think about joining another team. Company culture is so important in today’s market. Everyone wants to feel like they belong to, and are part of, a winning team. Creating that team spirit is critical to the overall success of the organization. When we are passionate about who we work for, we are passionate about what we do and how we do it! We work harder because we don’t want to let our team down. We celebrate the victories together and support each other during the defeats. We are proud to be a part of the company culture. In a day and age where sales people flip flop more often than politicians, building a strong company culture is important in creating a sense of loyalty to the builder. Just ask any Sales Manager what the secret is to building a great sales team and they will tell you it is all about creating a positive experience and company culture. When your team is celebrating the sweetness of their success, make sure you pack the stadium with plenty of cheerleaders! Their cheers leave no doubt to anyone who the real winners in the room are. Congratulations to ALL builders who participated in the 2013 Parade of Homes! Believe it or not, one of the most crucial elements of your new home sales presentation is the approach and introduction. This sets the stage for the ENTIRE presentation. In watching several shops over the past few weeks, I have noticed that many new home sales people do not understand the importance of the approach and introduction. The good news is that this is a pretty simple area to improve upon! It all has to do with your attitude. When your prospects enter the sales office, they are feeling a bit intimidated and nervous. (Imagine how you feel when you go to the doctor’s office!) They don’t know what to expect. It is your job to put them at ease and make them feel welcome. This allows you to create immediate rapport and build trust. So, how do you do this? Here are some tips! Offer everyone who walks into your sales office something to drink. This not only quenches their thirst, but it breaks the ice and allows you some bonding time before you jump into your presentation. Turn the conversation around to be about them. Ask your prospects what has brought them in today and how they heard about the community. Don’t forget your company website. Statistics show that over 85% of people will go online before they ever venture into a new home community. Ask them if they have been to the website. Build rapport. Before you dive into your community spiel, get to know a little bit about your prospects. I am not a big ‘small talk’ fan, but I do strongly believe that in order to develop a relationship of trust with your prospective buyers you have to get to know them! Remember, you only get once change to make a first impression. Make it count! Video Mystery Shopping: ‘Icing’ on the cake – YOUR Design Center! Have you ever baked a cake? While I certainly do not claim to be a domesticated kitchen goddess, I have baked my share of cakes in the past. When my daughter Sarah was young, we would spend some quality time in the kitchen baking cupcakes, pies and the occasional cake. Sarah was always WAY more interested in the process when we would come to the final step of putting the icing on the cake. She just couldn’t resist that sugary sweet frosting that would turn a plain white cake into a scrumptious culinary delight! (Neither could I for that matter). In new home sales, while we aren’t spending our time baking cakes, we are following a similar recipe. We are building a new home for our clients. It takes many ingredients to build this new home. Land, construction materials, drywall, and contractors are the equivalent to the butter, sugar, flour and eggs portion of baking a cake. Not the most glamorous or exciting, but nonetheless the foundation for our home. So, what then is the ‘icing’ on your new home cake??? Your Design Center, of course! Your Design Center is one of the final steps in the new home process. It is the place where clients turn ‘your house’ into ‘their home’. The process is exciting and fun! Are you marketing the design center in your sales presentations? Sure, your clients want (and need) to hear about quality construction, warranty programs and energy efficiency program but they also want to know about the Design Center and all the wonderful things that await them there. The sparkling light fixtures, the abundance of cabinet and flooring options, the appliance packages, the colorful of paint selections…this is the fun stuff! This is the icing on the cake, baby! Most new home builders have spent a great amount of time, money and effort in creating a showpiece with their design centers. Sales managers – INCLUDE your design center manager in some of your sales meetings. Let them discuss new features and options that are available. In fact, why not schedule one of your sales meetings AT the design center? Still not sold on the importance of your design center? Well, next you bake a cake; don’t put any icing on it. Serve it for dessert and see the response you get from your family (especially your children!). A cake just isn’t a cake without the icing that goes on top! Video Mystery Shopping – Referrals: How to get ‘em, How to give ‘em! I LOVE referrals! I love GIVING them and I love GETTING them. Can you imagine if 100% of your new home sales came from nothing but referrals?? Wouldn’t life be SWEET? While I doubt that many one of us will ever obtain ALL our business just from referrals; I DO BELIEVE you can substantially increase your percentage of referral business just by implementing a few simple steps. Sounds pretty simple, right? Well, it may sound simple, but it does take a lot of work and effort on your part to make this powerful trifecta of know, like and trust a reality with your clients and sphere of influence. So, how do you start to build our referral business? One simple way is by GIVING referrals. A referral is worth its weight in GOLD. As the expert of your new home community, doesn’t it seem natural that you would know the best dry cleaner, pet sitter, hair dresser, and medical professionals in the area? Are you sharing this information with your new home buyers when they move in? Why not create a one page document with a few of your personal suggestions for business professionals in the area. In fact, you could list three per category and let your homeowners make the final decision based on their personal needs. Be sure to let these business professionals KNOW you are referring their services and products to your new home owners. And, make sure your new home owners are letting these businesses know where they got their name from. Another great place to build your referrals is within your realtor community. I often ask new home sales people how they are establishing relationships within the realtor community, and I am always amazed when I hear: “Well, I drop off fliers at the offices once a week.” REALLY??? How’s THAT savvy and original marketing tactic working for you?? Remember people: Know, Like and Trust are the key words here. Build solid relationships with your key realtors. Get to know them personally. Finally, don’t be afraid to ask your past customers for referrals. The average person knows at least 200 other people (and now with social media, I am certain that number is much higher). Let your customers know that a referral is the highest and best compliment they can give you for a job well done. Remember, if you don’t ask…the answer is ALWAYS No. The Olympics start today! I can’t wait! I love watching the competitions and cheering for Team USA. The spirit, energy and teamwork that are exhibited throughout the 10 days of the Olympics are a true testament to the hard work and commitment of these fine athletes. These men and women have truly dedicated their lives to their particular sport and the Olympics is the ultimate opportunity to SHINE before the entire world. As new home sales professionals did you realize that you too have the opportunity to be Olympians? And, the best part about being a new home Olympian is that you don’t have to wait four years to win your Olympic gold. You have the opportunity every day to compete and take home the medal. Your customers and your prospects are the judges. They will score you and determine if your ‘performance’ is worthy of a gold medal. If you want to sell new homes like a winning Olympian, you need to have the three characteristics that every Olympic athlete has, regardless of what sport they are competing in. Dedication – Are you dedicated to your profession? Are you dedicated to winning? Without dedication, it becomes too easy to lose your focus and drive. When a prospect walks into your sales office, your dedication must be clearly recognized. You have to be dedicated to finding them the perfect new home for their needs. Nothing can stop you! When you are dedicated, nothing gets in the way of you and your goals. Commitment – How committed are you to the job? Are you willing to do whatever it takes to win? Olympic athletes commit to their sport in a way that most of us can’t even fathom. Read about Michael Phelps’ commitment to swimming! This is a young man who spends countless hours in the pool EVERY DAY perfecting his craft. In new home sales if you are not committed to the profession you will quickly be overshadowed by those who are. Only the best of the best athletes get the opportunity to compete in the Olympics. There is no need for a second or third string. Passion – I believe that passion is the most important trait of all for Olympians. They are passionate about their sport. They will do whatever it takes to master their craft and win! Without passion, there is no game. As you watch the Olympics this week on television, you will learn a lot about the athletes. In addition to their flawless performances, their personal stories will be shared as well. I promise you that there isn’t one competitor that isn’t passionate about what they do. How passionate are YOU about new home sales? Are you passionate enough to ‘Go for the GOLD’? Video Mystery Shopping: Take advantage of YOUR association! It seems over the past couple of months, I have been getting more and more speaking inquiries and opportunities with home builder’s associations from across the country. John Palumbo, Meredith Oliver and I just recently spoke to sell out audiences at two home builder’s associations in Canada, and will be heading to Charlotte, NC in September to speak to their group. The home building industry seems to be making a huge come back with regards to association involvement and participation, and I couldn’t be happier! 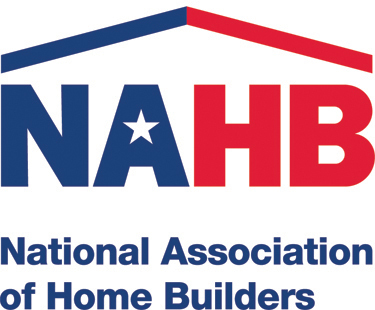 Your local home builders association is a vital part of your professional career. In addition to the fabulous networking opportunities and educational programs they offer, industry associations allow you the chance to form strong relationships with peers and work together to make a positive difference for the homebuilding industry. The past few years were tough for many trade associations. Staff had been eliminated, budgets were cut and overall, builder participation and membership was down. Not a good thing at all for your professional trade association! But lately I have noticed a shift in the wind. Builders associations are coming back bigger and better than ever. I believe the positive changes that I have witnessed this past year truly do reflect the state of our industry. Dare I say that positive feeling about the home building industry is back? You bet your bottom dollar I do! The Sales and Marketing Councils (SMC) are always a driving force for any home builders association. This is a group of crazy and creative sales and marketing people for goodness sakes, what else would you expect? Everyone is ‘thinking outside the box’ this year with program and events. I attended a program a few months ago put on by the Tampa Bay Builder’s Association in which they had a panel of experts in the building industry speaking to over 100 Realtors about to SELL new homes. It was phenomenal! These are the types of programs that will help to revitalize the industry! Bottom line, if you are not involved with your local builders association……get involved. It is a key component to not only YOUR success, but the industry’s overall success as well. Get involved! Having conducted and reviewed over 20,000 video mystery shops in the past 25 years, I feel qualified to call myself somewhat of an expert in the area of new home sales tactics and techniques. Each week, through the power of video mystery shopping, I get the opportunity to witness first-hand what is really going on in new home sales offices. I see what works, and I also see what doesn’t work in the sales presentation. Every now and again I will watch a shop and the sales person will do or say something so outrageous my jaw will literally drop to the floor, but most of the time new home sales associates make the same common mistakes over and over again which causes them to not make a sale. New homes sales isn’t brain surgery or rocket science, but it can be difficult if you don’t have the proper TRAINING and KNOWLEDGE to be able to make the sale. In true David Letterman mode, I have come up with my Top 5 list of the most common mistakes that new home sales people make in their sales presentations. I don’t care if the video mystery shop occurred in Peoria, IL or Little Rock, AR…..these five occurrences know NO geographic boundaries! I promise you that if you overcome these common mishaps your sales presentation will improve and as a result, you will see an increase in your sales and your bottom line! Not using the prospect’s name during the presentation – It has been proven time and time again…people LOVE hearing the sound of their own name. Not only that, but when you use the prospect’s name you are building immediate rapport and trust with them as well. Make it a point to use their name several times throughout the presentation. Forgetting to ask if the prospect has been to the builder’s website – In today’s world more than 90% of people conduct company research online BEFORE they ever do business with that company. In other words, they are pre-qualifying YOU! In new home sales, your prospects use the builder’s website to determine whether or not to make a trip to the sales office. So, chances are pretty high that the prospect walking into your sales office HAS been to your website. It is your job to find out! Not determining how much time the prospect has to spend with you – I have seen beautiful sales presentations go awry because the sales associate neglected to ask the prospect how much time they had to spend with them. Don’t assume your prospect has all day. There is nothing worse than having your sales presentation cut short! I advise sales people to have a ‘cliff note’ version of their presentation in case the prospects can’t stay for the full version. Lack of a strong builder’s story – Remember, in most cases your prospects are going to be visiting multiple builders. It is critical that at the end of the day they KNOW what sets you apart from the herd. One suggestion is to ASK your prospects what is important to them in a builder….this will open the door for dialogue that is specific to THEIR needs. Too much ‘Telling’, Not enough ’Selling’ – Make sure you engage the prospect in every aspect of your sales presentation. Don’t just ‘feature dump’ on them, find out what is important to them. Remember, this is not about you….it is about your prospects and what they want. You have to identify what is truly important to your prospects and then showcase that to them throughout your sales presentation. Video Mystery Shopping – Let’s Network and make it WORK! Networking….it is one of those things we love to hate. If you are in sales of any kind, you know that networking is a necessary tactic in developing new business and making more sales. So, why do we LOVE to hate networking so much? In my opinion it is because we really don’t know HOW to network properly. When most of us hear the word ‘business networking event’, an image of walking around a room full of strangers, handing out business cards and trying to think of things to say to these strangers usually comes to mind. Also, if you are part of an organized networking event, you know the dreaded ‘1 minute elevator speech introduction’ is also probably on the docket as well. So the image becomes you walking around aimlessly, trying to think of witty and intelligent to say to people you don’t know AND you are shaking in your boots about doing your ‘LIVE at the Improv’ 60 second infomercial! No wonder we love to hate networking! According to Wikipedia Business networking is: a socioeconomic activity by which groups of like-minded businesspeople recognize, create, or act upon business opportunities. A business network is a type of social network whose reason for existing is business activity. There are several prominent business networking organizations that create models of networking activity that, when followed, allow the business person to build new business relationships and generate business opportunities at the same time. GOSH – it even sounds hideous and boring! So, how in the world can you network effectively and actually enjoy it?? Well, for starters you need to have a plan in place before you ever walk in the door! Here are 5 simple tips to make your networking efforts effective, and more importantly, FUN! Do your homework. Find out in advance who is going to be there and then conduct a little research on them (Linked In is a GREAT resource for this!). Try to pinpoint 3 – 5 people who you REALLY want to meet before you ever even arrive. Arrive early to the event. This allows you to get comfortable with your surroundings and ‘get in the zone’. Pretend you are the official ‘greeter’ and make a point to welcome and introduce yourself to people as they walk it. This is A LOT easier than walking up to a group of strangers and introducing yourself! Do NOT, and I repeat, Do NOT give out your cards to ANYONE unless they specifically ask for it. In fact, don’t even TALK about yourself, instead ASK questions about the people you meet. Look at networking as a ‘fact finding’ mission….find out as many things as you can about the people in the room. If you do indeed meet someone who you think you could be a resource for, or vice versa, then exchange cards and make a point to follow-up. Finally, relax and have fun. Think of business networking for professionals as a fraternity party for college kids (minus the keg of beer!). It is a chance to connect with a wide variety of people from diverse backgrounds and industries. Networking is a big part of what you do as new home sales professional. So accept and embrace each opportunity. You never know WHO you will meet! Video Mystery Shopping Tip: Can you close better than a 5th grader? Are you CREATIVE? In my blog series of ‘Can you close better than a 5th grader’ we have covered 2 of the 6 traits that fifth graders possess that make them natural closers. We’ve discussed Curiosity and Confidence. This week I want to talk about another, less obvious trait that makes you a great closer…..Creativity! Remember when you were in the fifth grade how easily your creativity could be summoned? Think about it….you were given a blank piece of paper and some crayons and you created a masterpiece! Or, you found a stick from an old oak tree in the back yard that miraculously transformed into a mighty sword! Our imaginations allowed us to create new and exciting worlds where we could be princesses and knights, pirates and genies…anything we wanted to be! We ‘painted’ a picture in our minds and our imaginations allowed us to dream it, see it, and believe it! In new home sales our creativity and imagination are very important when working with our prospects. We get the opportunity to ‘paint a picture’ for our prospects of what their lives will look like when they purchase one of our new homes! As you walk your prospects through your model homes encourage engagement! Be creative and use your imagination as you enter each room of the home. Ask your prospects what they would use the space for. Would it be suitable as their office, study, or scrapbooking room? Get them to start thinking outside of the proverbial box! Allow their imaginations to “paint” a picture of how their furniture would look in the room. Another great opportunity to use your imagination with your prospects is when you are demonstrating the actual home site! Once you discover what your prospects enjoy doing outside, start painting the picture for them. Do they like to garden? Are they people who like to entertain and cook-out? Do they have children? Do they have a pet? If so, get your creative juices flowing and show them how ideally the home site works for them! Here are some ideas for being even more creative in your sales presentations! Come up with a clever nickname for each room of the model that is specific to the prospect. IE., ‘Bob’s man-cave area’, ‘Susan’s sewing room’, ‘Grandpa Joe’s guest room’….you get the idea. You are personalizing the experience for them! When you are at the home site, bring a tape measure and mark off where their new home will literally be. Have them pretend to “walk” into their imaginary new home via the front door, show them the views from the different areas of the house. Use creativity in your follow-up! Instead of just sending a boring letter thanking your prospects for visiting, why not send letter to their dog ‘Fido’? Let Fido know that you would be honored and privileged to build the perfect home for his owners and that you even have selected a special place in the back yard for his NEW dog house to go! One final word about Creativity……make the process fun! Allow your prospects to get involved and engaged, this is how you tap into their creativity (and make the sale)!